I say, old chap. Have you ever noticed that in days of old British people used to speak with a rather pious accent? Yes. I can assure you this fact is true, my friend. As I heard this in the following 71-minute movie made in 1937. It was Directed by: Thomas Bentley; and Starred: Arthur Wontner, Ian Fleming, Lyn Harding, with Lawrence Grossmith. Why thank you very much for inviting us to your grand abode, Sir Henry Baskerville (Lawrence Grossmith). I'm sure Dr. Watson (Ian Fleming) and myself will have a most enjoyably stay here. Especially since Inspector Lestrade (John Turnbull) gave us a tip on an up and coming horse race within the vicinity. Eh? What in damnations was that infernal racket? Oh no! Don't tell me someone has killed your stable hand and stolen the horse in question? Oh, dear, Sir Henry! That's a damn nuisance, isn't it? But please don't concern yourself with this matter, old bean. As the game is a foot. My game that is! My game of sussing out who committed this heinous crime by prowling through the moors, whilst asking a lot of question's in the process. Then again, that's most probably why what transpires all takes a run and jump when I say to myself, 'Sherlock (Arthur Wontner) old chap. You don't think Professor Moriarty (Lyn Harding) is behind this, do you?'. As a horse is hidden from prying eyes - a stable hand is found out for telling lies - a race comes down with a tremendous cough - and at the end of the day, a vile villain it finally told to pi** off. I must confess, dear reader, 'The Silver Blaze' was one of those black and white movies I liked for its story-line, yet didn't like for its execution. Well, I think it best if I mention that the quality of the print I saw was rather mumbled in places. Both visually and acoustically they appeared slightly garbled and opaque on screen. And sometimes -- and only sometimes mind you -- it was quite difficult to ascertain what was happening from one moment to the next. Having said that, though, this is a very old slice of antiquated cinema, and it does date back to 1939. Plus more or less, I got used to this cosmetic pit-fall the longer it played out. Particularly since some of the actors were able to tell the actual tale in a very straight-laced fashion. Honestly, folks. For yours truly I thought Arthur's portrayal of Sherlock was right on the money. 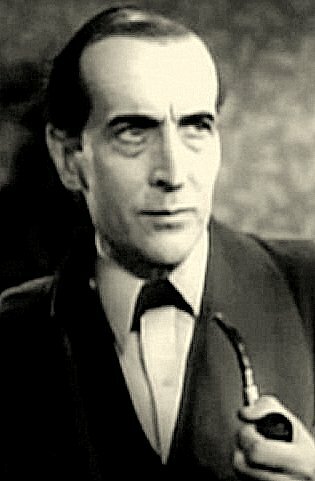 Not only because he looked and sounded the part, yet he also had that meticulous manner of deducing and sleuthing like some sort of Victorian doctor. And as for the Doctor -- yeah -- he did a pretty good job too. In his own humble manner Ian appeared very comfortable and self-assured in his role of Doctor Watson, whilst Lyn scared the living sh*t out of me playing Moriarty, mainly because of his very imposing stature and gruff demeanor. As for the rest of the cast on the other hand, well, nah! They were too stiff or prim-and-proper, so to speak. And most of them came across as a mixture of one-dimensional stereotypes and secondary players that couldn't really cut the mustard. Oh! Wait a minute! While I'm on the topic of mustard, funnily enough, I'd say this said-same garnish is how I would perceive this tale. It's not to everybody's tastes, unless you enjoy something that is peppery and spicy and is able to confuse your taste buds. Confused -- in a good way of course -- as this flick managed to do two things where the central narrative was concerned. Firstly, unlike some more modern day thrillers, it told a murder mystery that unfolded the longer it progressed, and didn't just set-up a pretext for the characters to play off of. And secondly, the three principal characters took charge of this film by staking their ground. Sherlock was the hero. Watson and Lestrade were his side-kicks. Plus Moriarty was the bad-guy. Simply put. And simply defined. Anyway, by now I'm sure you know how I feel about this up and down movie. Parts of it were good. Parts of it were bad. And parts of it were fairly mediocre. So for the time being let us all sit back, relax, and check out the following filmic-facts. (1) 'Twickenham Film Distributors' first screened this production in England on the very same month as the first alleged sighting of the elusive, 'White River Monster' -- July, 1937. 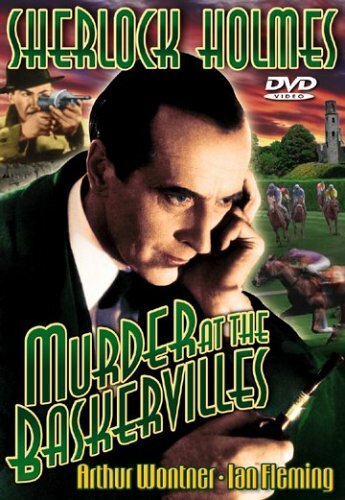 (2) Loosely translated, this project was entitled 'The Missing Horse' in Brazil, and when it was re-issued in America four years later, 1941, it was given the alternate title, 'Murder at the Baskervilles'. (3) The majority of this movie was shot at London's 'Twickenham Film Studios', located in the English county of Middlesex. (4) This adventure was limply based on Sir Arthur Conan Doyle's 1892 short story of the same name. 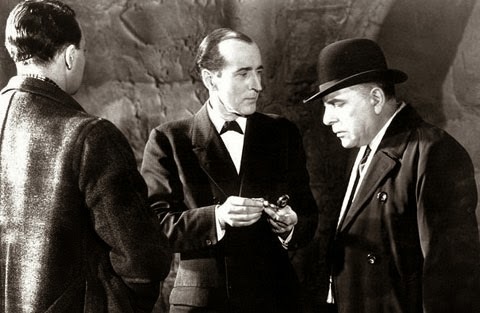 (5) Unfortunately this was the last time Arthur Wontner would play Sherlock Holmes on screen. In 1961 he died at the tender age of 86. (6) Even though the actor who played Watson in this film shares the same name as the popular James Bond novelist, Ian Fleming, he is not a writer. Instead, he is an actor whose claim to fame is being one of two Watson's who played opposite Arthur's Holmes. The other one being Ian Hunter, who also starred opposite Errol Flynn in his swashbuckling series, 'The Adventures of Robin Hood'. (7) Its a little known fact that Arthur's eldest son, Hugh Wontner, became the Lord Mayor of London in 1973. (8) This story wasn't the inadvertent sequel to the now classic 'Hound of the Baskervilles', because it was written ten years earlier. (9) After this flick turned out the lights, Arthur Wontner starred in the comedy, 'The Live Wire'; Ian Fleming starred in the drama, 'The Reverse Be My Lot'; and Lyn Harding starred in the adventure, 'Mutiny on the Elsinore'. Overall I'd say 'The Silver Blaze' was a pretty nifty movie to sit down and watch. 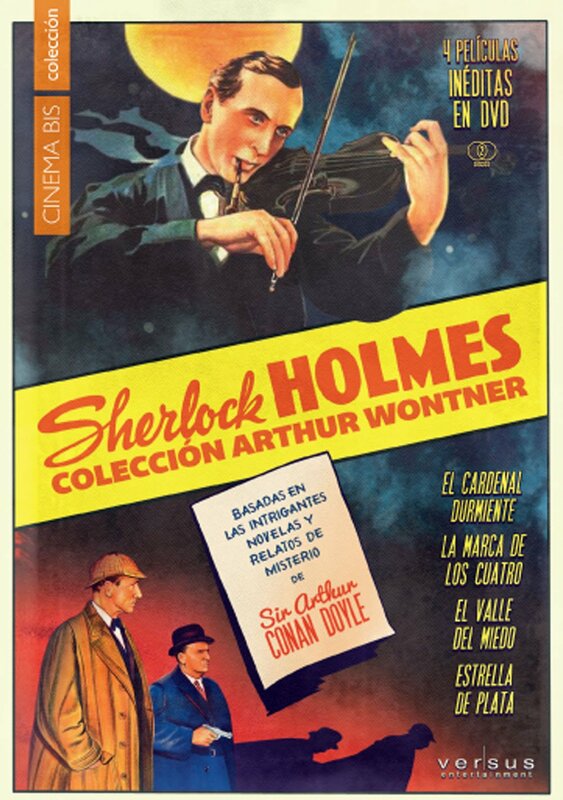 Even though cosmetically it looked rather mundane, the story told a rather good story, and it is well worth seeing if you haven't seen Arthur's version of Holmes yet.